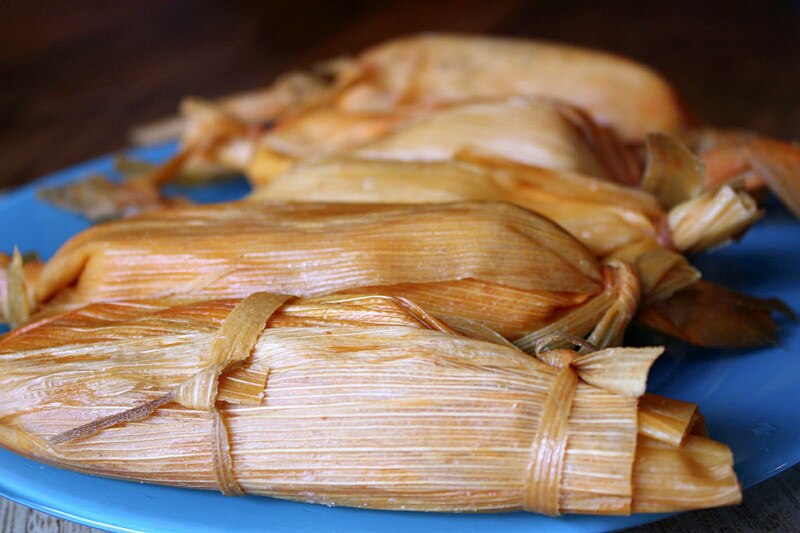 One of the foods we love most in the Tofu Mom household is TAMALES. I realize I've posted a dozen different recipes, but it's because we make them so often and are always finding new combinations we LOVE! My kids will take them cold in their lunchbox or I serve them for dinner, usually with some sort of sauce (yes, sauces are like gravy) to top them. Here's my latest and greatest tamale filling, made with the Green Lentils from the amazing Timeless Foods (Have you checked them out? Seriously so much better than your average bulk-bin variety lentils!) AND a recipe for the Cheezy Chipotle Sauce that we often top them with. A traditional sauce for tamales would be some New Mexico Green Chile Sauce or even the Mole from yesterday, but the smoky chipotle nicely compliments the earthy flavor of the lentils, and it's what my kids prefer. Enjoy. --- Mix lentils with chopped olives, garlic, spices and vegan cheese or mashed potato while lentils are still hot. Mash up a bit to make filling stick together (but don't entirely mash lentils). FOR TAMALE DOUGH AND FILLING INSTRUCTIONS, SEE MY TAMALE RECIPES HERE: AND/OR HERE: I won't overwhelm you with a giant page of tamale-assembling instructions today. When tamales are done, unwrap and serve with sauce of your choice (or serve them wrapped, with sauce on the side). Rinse cashews with hot water while combining the remaining ingredients in food processor. When well blended, add drained cashews and process on high for 1-2 minutes until very smooth. Cook in a sauce pan over medium heat, stirring constantly, until thickened. (You can stir in some Daiya pepperjack here if you want, but it isn't necessary). This looks so good! Your gravy posts and this are making me think I ought to cook something for myself. Mmmm - I'm making this cheesy chipotle sauce tonight to go with bean burritos. Thanks for the recipe! Those look delicious, I can't wait to try to make tamales on Friday! Ooooh, yum! It's like a cashew cheese and a nooch sauce, all in one! Plus CHIPOTLES!!! 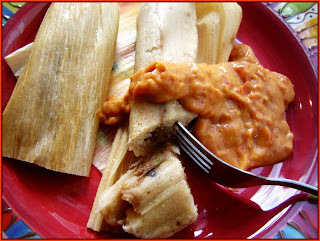 Ha, just mentioned tamales and here you are, posting an epic recipe for them! These look brilliant, Marti! And that Cheezy Chipotle Sauce is now on my to-do list. Seems like it has infinite possibilities!